After the huge success of Your Name. 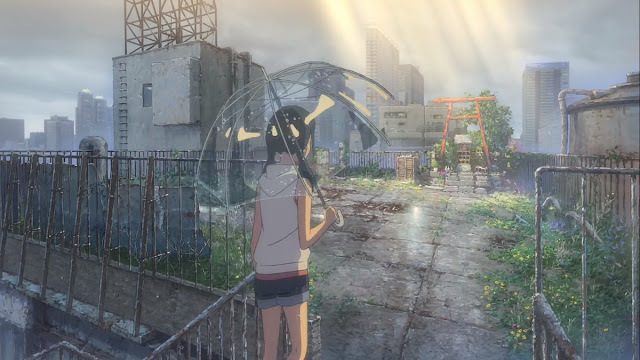 from 2016, anime film director Makoto Shinkai and Japanese rock band RADWIMPS once again collaborated for Shinkai’s upcoming anime film Tenki no Ko:Weathering With You. 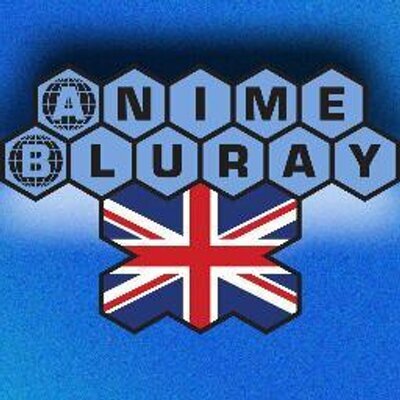 The anime movie is scheduled for release on July 2019 and is one of the highly anticipated anime project of the year, obviously because it is from Makoto Shinkai – director who’s famous for delivering heavily coloured-contrast visuals which really looks appealing, magical, and breathtaking. Meanwhile, RADWIMPS is popularly known by Shinkai fans as the band and composer of the soundtrack from Your Name. 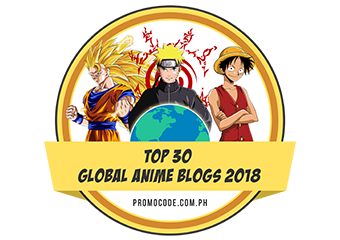 – currently the highest grossing anime film of all time surpassing Studio Ghibli’s award-winning Spirited Away in 2017. Personally, I really like how magical and heartfelt the songs of RADWIMPS is and it somehow peculiar to hear it from a rock band but RADWIMPS definitely brought the Japanese music to larger audience with their amazing music on Your Name. among my favourites were Zen Zen Zense, Nandemonaiya, and Sparkle. 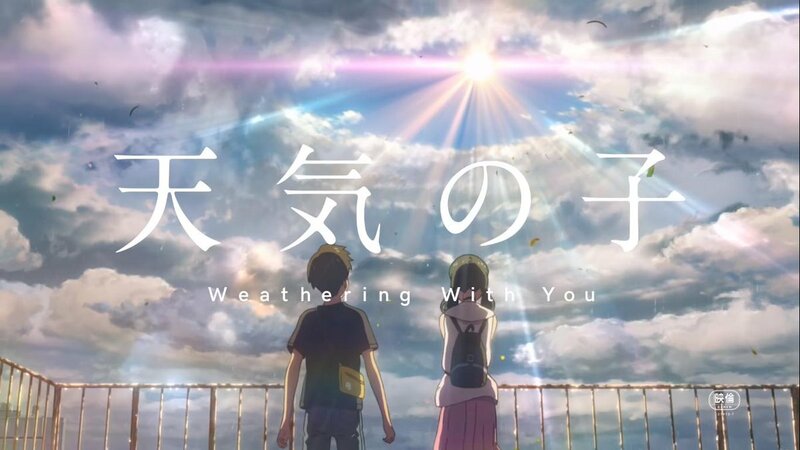 Weathering With You is scheduled to premiere in Japan on July 19, 2019 and is confirmed to get a worldwide release. 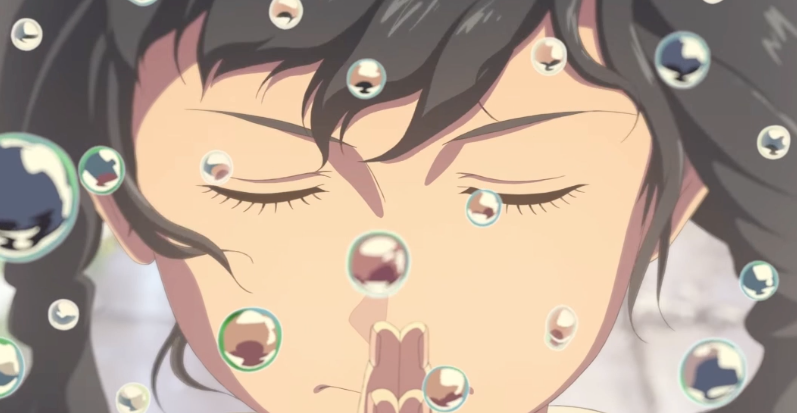 In a recently unveiled teaser trailer for Weathering With You, RADWIMPS’ new song "Ai ni Dekiru Koto wa Mada Aru Kai" had been revealed. "This is the story of the world's secret that only she and I know." In the film's story, high school student Hodaka leaves his home on an isolated island and moves to Tokyo, but he immediately becomes broke. He lives his days in isolation, but finally finds a job as a writer for a shady occult magazine. 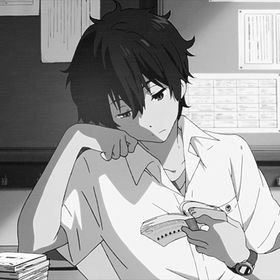 After he starts his job, the weather has been rainy day after day. In a corner of the crowded and busy city, Hodaka meets a young woman named Hina. Due to certain circumstances, Hina and her younger brother live together, but have a cheerful and sturdy life. Hina also has a certain power: the power to stop the rain and clear the sky. The voice cast and staff for Weathering With You had been previous unveiled together with a series of teaservisuals for the film. Starring in the lead role for Weathering With You were Kotaro Daigo and Nana Mori as Hodaka Morishima and Hina Amano respectively. The staff includes Makoto Shinkai who is credited for the original work, and serving as the film’s director and scriptwriter at CoMix Wave Films. Together with Shinkai is Masayoshi Tanaka, Atsushi Tamura, and Hiroshi Takiguchi. These people were previously involved with Shinkai’s past works such as Your Name., The Garden of Words, as well as from other popular project such as Anohana, and Mobile Suit Gundam: The Origin. So, who’s excited to see Weathering With You on July? I am seriously telling everyone to prepare their heart and their eyes as we will once again witness a jaw-dropping visually aesthetic animation and heart pumping drama that will sure take our breath way.